One thing my EFL students ask for again and again is error correction. I have been teaching English in the classroom for about a year now, and I have been trying to find a way to incorporate helpful error correction into each lesson. Recasting and explicit correction are pretty common ways to provide some level of feedback to the students, but I find that these methods aren’t always so helpful. Recasting with emphasis on the corrected element. Recasting has been my primary error correction technique, but I have come to realize its shortcomings, both through classroom experiences of my own while learning German and through the lack of apparent results with my EFL students. Recasts are often confused with confirmation of correct production, and if the corrected part of the recast isn’t made obvious (through intonation or a gesture), even after recasting a feature several times, the whole effort is lost. Explicit correction is a step up from recasting and may be far more effective in clarifying a particular error, but it has some disadvantages. 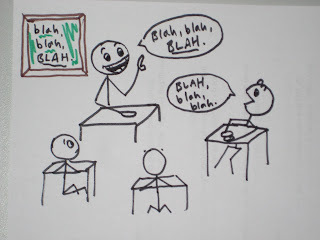 In contrast with recasting, explicit correction seems to disrupt the flow of conversation in the classroom, directing attention away from production. Explicit correction in the classroom that occurs too frequently in one session or over a few sessions can be discouraging for students. It is especially tough when one student needs more correction than the other students and subsequently disengages from the lesson or even from later lessons. However, if the need for correction is widespread in the class, it is a good indicator that the teacher needs to reexamine the suitability of the material for the students at their particular level. Another problem with explicit correction, and even recasting, is when the student misspeaks, making a simple error. It is hard to decide which errors, no matter how small, slip by. When students ask for intense feedback, which errors do you focus on and which do you let slide? In my own practice, I tend to avoid correcting things that do not confuse the student’s message, such as minor pronunciation errors or adverb placement, to name a couple. Instead, I make sure students use the right verb conjugation with the proper person and an accurate verb tense. When it comes to errors with word selection, I like to first ask the class if they might have a more suitable word for the student and rely on my own vocabulary as a secondary measure. There are different levels of error correction, I have only focused on two here. I want to talk about other methods after a bit more classroom use. Check out the interesting articles below for more information. I enjoyed reading this because I'm dealing with the same thing every day at work. One thing the trainers at my company taught us to do (which is perhaps not always realistic) is to repeat the error back to the student with an interrogative inflection to see if they can correct it without help. Of course you need a sharp and dedicated student (plus a well-timed pause) for it to work. To be honest, I sometimes find myself letting things slip by that I shouldn't. This mostly happens in the scenario you mentioned when one student's ability is dismally low in comparison to the other participants'. Student: He were watching TV when the phone rang. Me: He WERE watching TV? Student: He were looking TV? Me: No, watching is right. It's something with were. Student: He were ...be watching TV? Me: Not quite. You had the right tense, but there is a problem with were. You were watching TV and he...? Student: He is watching TV! I also let things slip a lot...especially when it's not a target phrase in the lesson. I wonder how much correction is too much, or, alternatively, how much not-correction is dangerous. I have also experienced what Rebekah has experienced with recasting as a question. The feature in need of correction stays as it is and the rest of the utterance receives an overhaul. I will do some more research and take more detailed notes about my experiences in the classroom. My goal is to provide feedback that gets results. Thanks Cathy, it means a lot. We are passionate about teaching and we truly want to make each lesson a useful and beneficial experience for every student we have.